Although the service is merely a year old, business is booming, suggesting that BookBub has struck upon a need in the publishing marketplace. However it’s not only readers who benefit from the cheap reads, says Schanker. Currently, five of the Big Six advertise their promotions on BookBub’s list. Rates begin at $40 for a listing and rise to over $1,000, all depending on the category and price point. 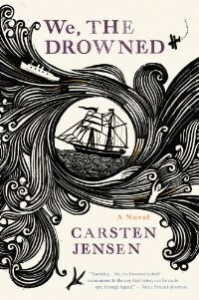 In the last few weeks alone, BookBub has featured traditionally published bestselling authors like Jonathan Kellerman, Ann Patchett, Jumpah Lahiri, Curtis Sittenfeld, and recently titles have included even more exotic literary fiction, such as We, the Drowned by Carsten Jensen, a 700-page epic translated from the Danish. “And we have hundreds of top-tier independent authors also,” adds Schanker, including authors such as Colleen Hoover, Bella Andre and J.A. Konrath. But can anyone who’s uploaded 100,000 words of gibberish to Amazon hand him cash to advertise it? Here, as before, Schanker stresses the curated nature of BookBub. So what can publishers that feature discounted books on BookBub expect? And what constitutes a good price? Well, there is no great secret here: the cheaper the better, says Schanker. Indeed, adds Schanker, sometimes a book has continued to sell well even after the discount has ended, citing the experience of Elizabeth Naughton as an example. “Before Elisabeth featured a promotion with BookBub, she was already selling extremely well on Amazon, but she had not gotten the same traction among readers who purchase ebooks from other retailers such as Barnes & Noble. 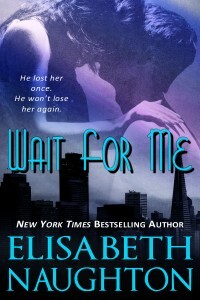 “Then she featured a 99-cent promotion with BookBub earlier this year on her book Wait for Me. This title, which wasn’t even in the top 100 on B&N beforehand, shot up to #3 overall on the site. After her promotion, she raised the price back to $2.99, but the book stayed on B&N’s bestseller list despite the price increase, and it remains in the top 100 on B&N today, more than a month later. In addition, because of the sustained sales she made with the B&N audience, she hit the New York Times bestseller list for the first time. So, with its ever expanding subscriber base hungry for cheap deals, has Bookbub ever wrought unholy havoc upon a server?